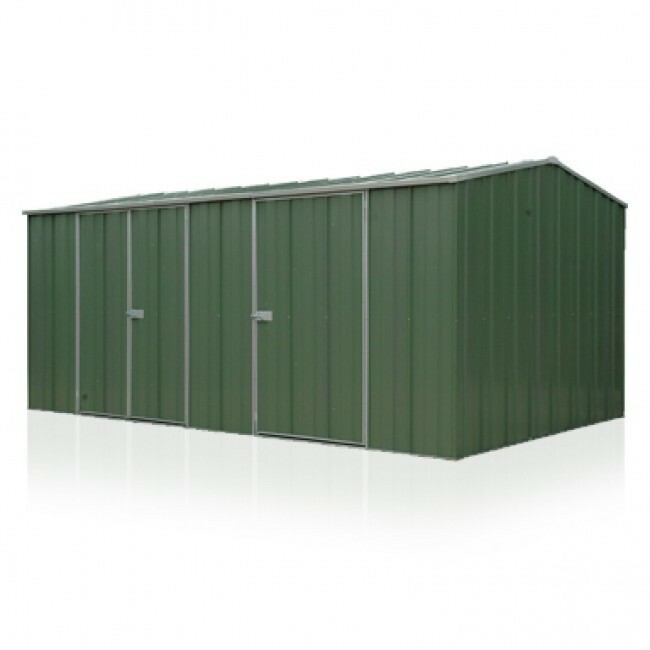 A one of a kind Workshop Garden Shed with both single and double hinged doors. 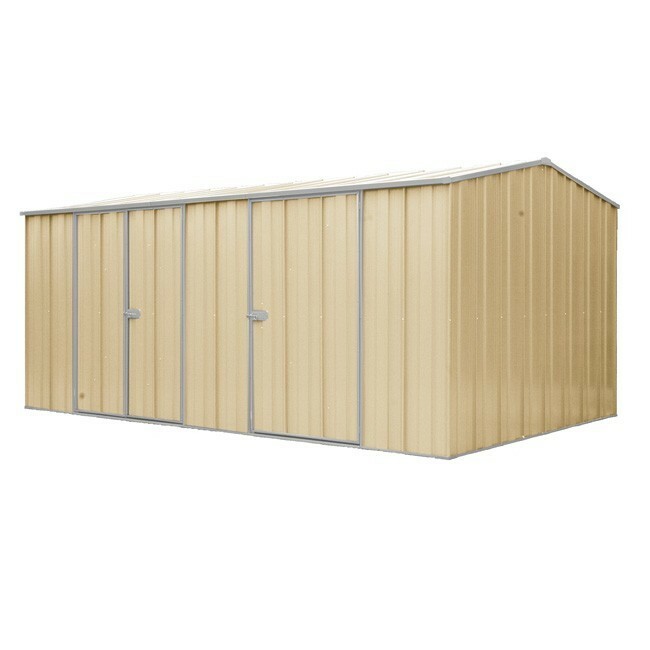 This shed comes standard with 2 wide openings, a double door and extra wide single door. This is great if you are wanting to divide the space inside, such as combining a dedicated work space along with a big storage area. 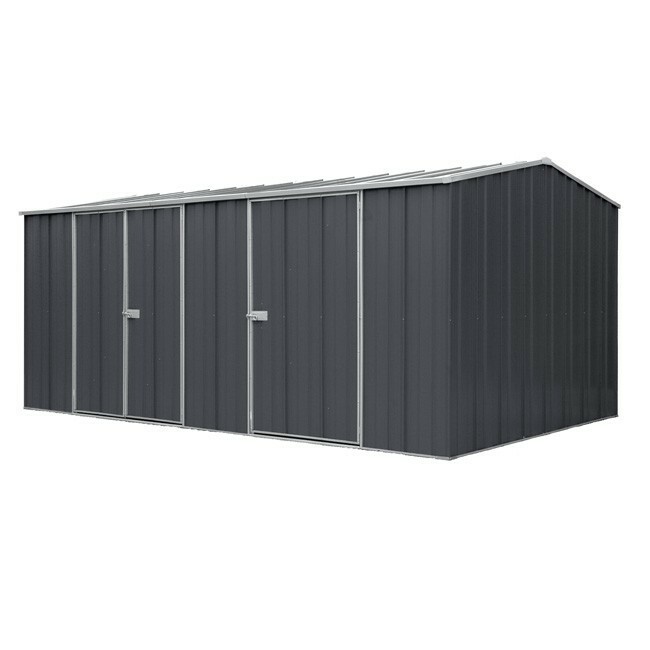 The YardPro Eco Plus range is one of it's kind, as it is the only 4.5m wide workshop garden shed on the market to combine the luxury of a double and a single set of doors. These sheds are manufactured from quality steel and is designed with low maintenance in mind. 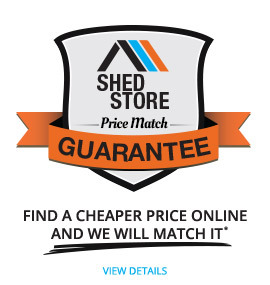 It can endure many of the harsh weather elements Australia is known for. 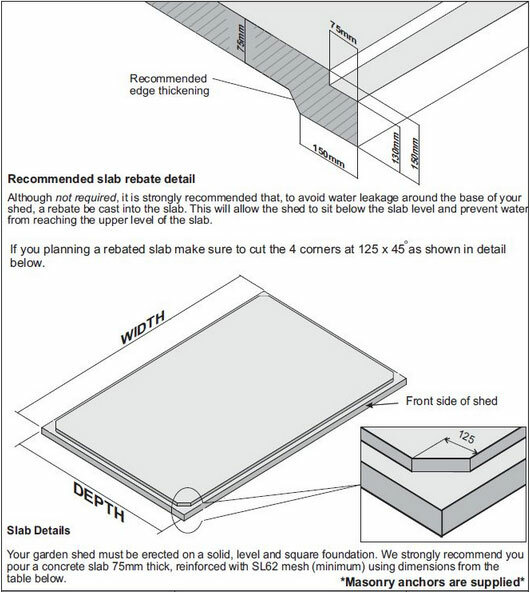 Wind rated to W41, but can be upgraded to W50(C2).